Pattinson to appear Monday on "The Daily Show"
Actor Robert Pattinson will chat with Jon Stewart for his first interview since the Kristen Stewart cheating scandal. Robert Pattinson has lined up his first television interview since news broke of Kristen Stewart's fling with her "Snow White and the Huntsman" director Rupert Sanders. The actor will appear on "The Daily Show" on Monday, a spokesperson for Comedy Central confirmed to Access Hollywood on Tuesday. 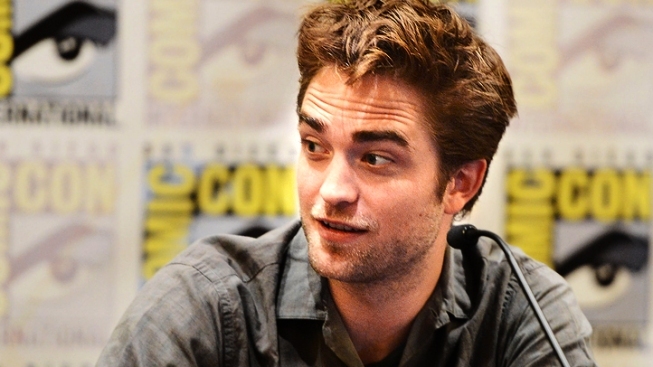 He is expected to promote his new film, "Cosmopolis." This will be Robert's second appearance on the show, with his first occuring in March 2010. In related news, Rupert Sanders was spotted in public with wife Liberty Ross for the first time since news of his affair with K-Stew broke last month. On Tuesday, TMZ posted a photo of the pair outside of Judi's Deli in Los Angeles, where they reportedly sat down for a meal. Rupert has been wearing his wedding ring, while Liberty was spotted on Monday without her ring, the website reported. Over the weekend, People claimed the couple, who have two children together – Skylar, 7, and Tennyson, 5, had not seen each other since news of Rupert's fling with Kristen first hit the press. "They seemed like a perfectly happy family," a source told the mag, at the time. "This was devastating for [Liberty]."